We know that there are many options when it comes to insulation! Good installation helps resist the flow of heat from the sun to your roof through your attic and into the living space. It also prevents the escape of heat in cold weather. The Department of Energy predicts that prices for natural gas and heating oil will continue to rise. Keeping your home warm in the winter and cool in the summer will become more costly as the days go by. But one of the most effective ways to keep your energy bill down is giving your attic proper insulation. It is one of the more important investments a homeowner can do to save energy. Be an Energy Hero! Attic insulation has come a long way in the last 40 years as energy prices have gone up. To meet higher R value requirements, insulation types and applications have changed. Roll-out batt insulation: flexible insulation material packaged in rolls that come in various thicknesses (16 inches and 24 inches). 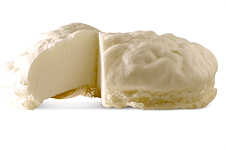 Blown-in insulation: two types, cellulous and fiberglass, packaged in bags and blown in place to the desired depth and density using special machinery. Spray-foam insulation: foam expelled from a spray machine and hardens. Cellulose insulation is the most common blown-in insulation material used because it is reasonably priced and composed of recycled newspaper. It is coined as “eco-friendly or green,” but is not as resistant to moisture. The fibers can settle and compact. 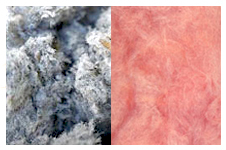 Fiberglass insulation consists of recycled glass or sand that’s melted and spun into fibers. It is lighter in weight than cellulose and a thicker layer is needed to get the needed R value. Other disadvantages: it compacts, it is itchy, and it has a lower R value per square foot. 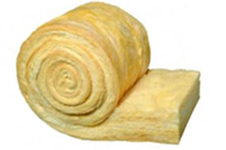 Insulation is material designed to prevent heat or sound from being transmitted from one area to another. It is used to keep heat and/or sound in or out of your home, or to confine it to certain parts of your house. Lasts for the life of your home! Our MicroFiber Plus® is the leading material on the market and the latest in technology. It has the highest R value per square foot to ensure your house meets the targeted R value of 38.